Stacey graduated from Dragon Rises College in 2008, and holds a Bachelor Degree in Social Work from Shi Jiang Business College, Taipei, Taiwan. R.O.C. She came to the US and completed the accounting program from Bentley College in 1997. She worked at Massachusetts General Hospital in the accounting and patient relationship department for more than 12 years. 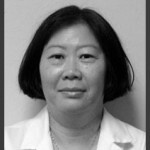 In addition to her work as a clinic supervisor, Stacey has a private practice in Gainesville.